When it comes to holidays, I love to create new crochet hats that correspond. 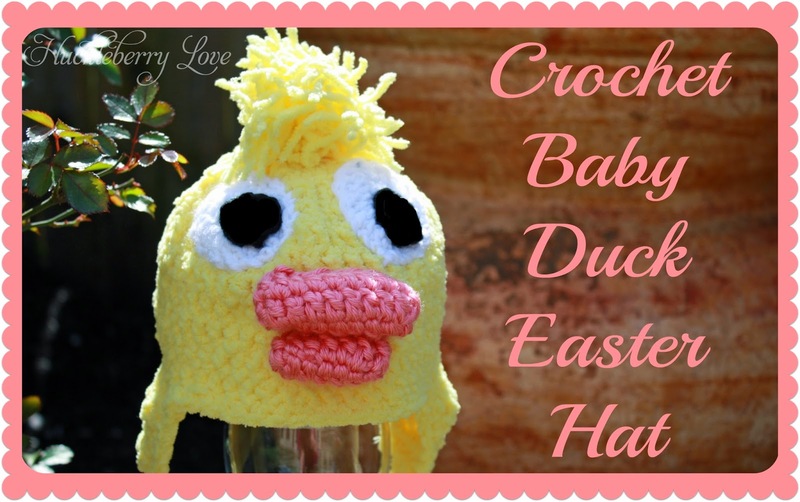 Well, Easter is no exception; in fact, I probably enjoy creating new crochet hats for Easter in particular because everything surrounding this holiday is cute. Bunnies, chicks, lambs, heck, even decorated Easter eggs are cute! I wanted to test out an animal a bit different than the three listed above so instead of chicks, I went with a duckling. Isn't he cute!! 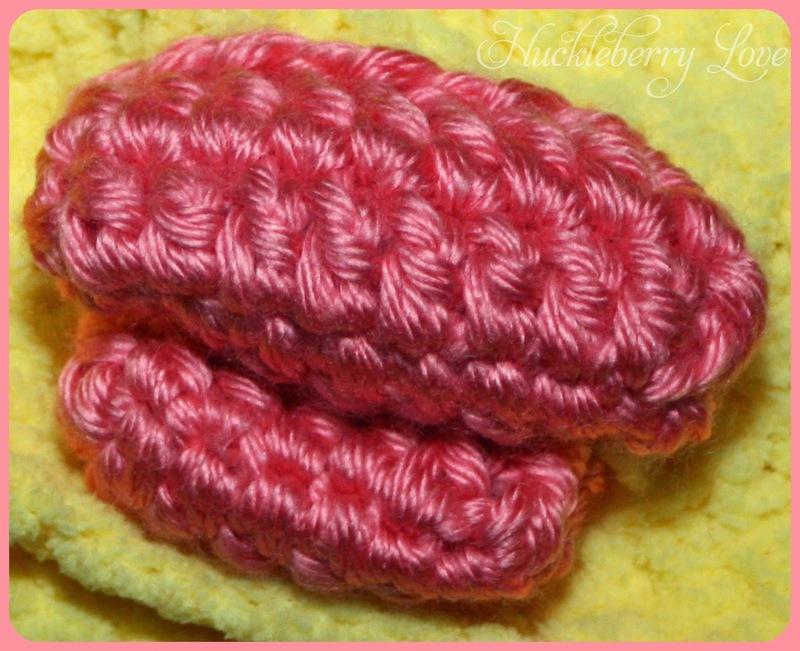 Rounds 6-11: DC in each stitch around; join to beginning stitch in round with a slip stitch but DO NOT fasten off. You will continue onto the first earflap from this spot. Fold hat in half leaving slightly more stitches in the front of the hat than the back. 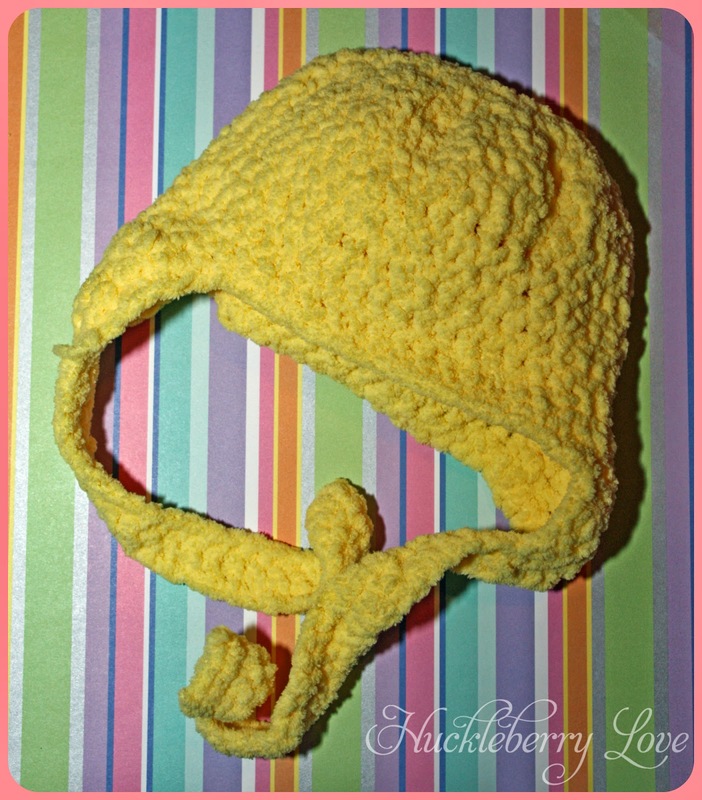 Place the second earflap to line up with the first earflap. Row 6: DC decrease, DC in next 2 stitches, DC decrease and then continue with a SC around hat and earflaps. At the top of each earflap: ch30 (more or less depending on the length of tie you'd like), SC in 2nd ch from hook and the rest of the way down the ch. When you get back to the hat, slip stitch into the hat, turn and SC in each stitch back up the tie, turn and then SC in each stitch back down the tie. (This will leave you with a tie 4SC thick). Continue to SC around the rest of the hat and fasten off when you get to the beginning of the hat. ch8, DC in 2nd ch from hook and in each ch to end, then continue around the other side of the ch with a DC in each stitch. Join to first DC and fasten off leaving a long tail. ch6, DC in 2nd ch from hook and in each ch to end, then continue around the other side of the ch with a DC in each stitch. Join to first DC and fasten off leaving a long tail. To make the duck beak sew the two duck bills together. Set aside. ch6, HDC in 2nd ch from hook and in the next 4, make 2HDC in last ch. Now, work up the other side of the ch with HDC (there will be 5HDC), join to the first stitch with a slip stitch, ch 2.
make a magic circle, ch1, 6SC into magic circle, join to first SC, fasten off leaving a long tail. 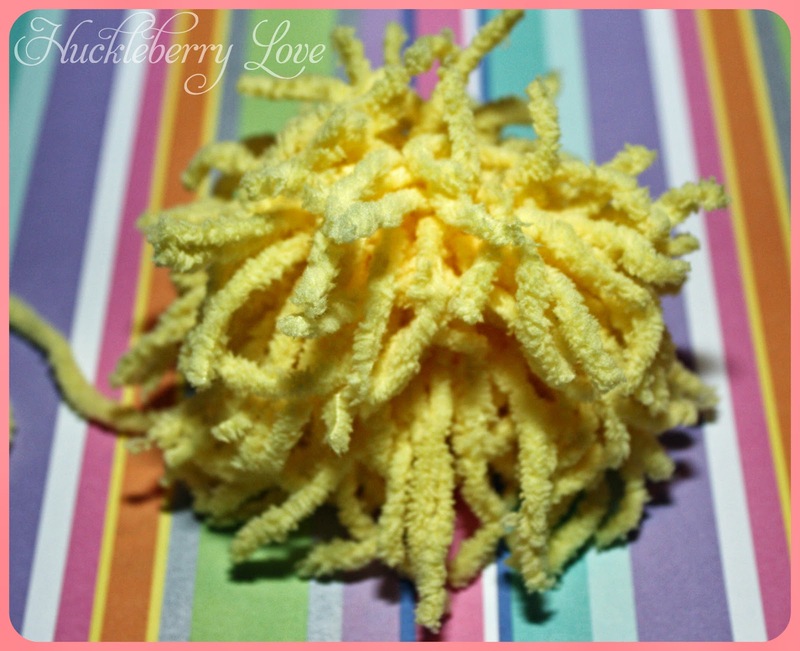 make your pom pom by using a pom pom maker or by making your own. I unfortunately do not have my own pom pom maker so I always make my own. 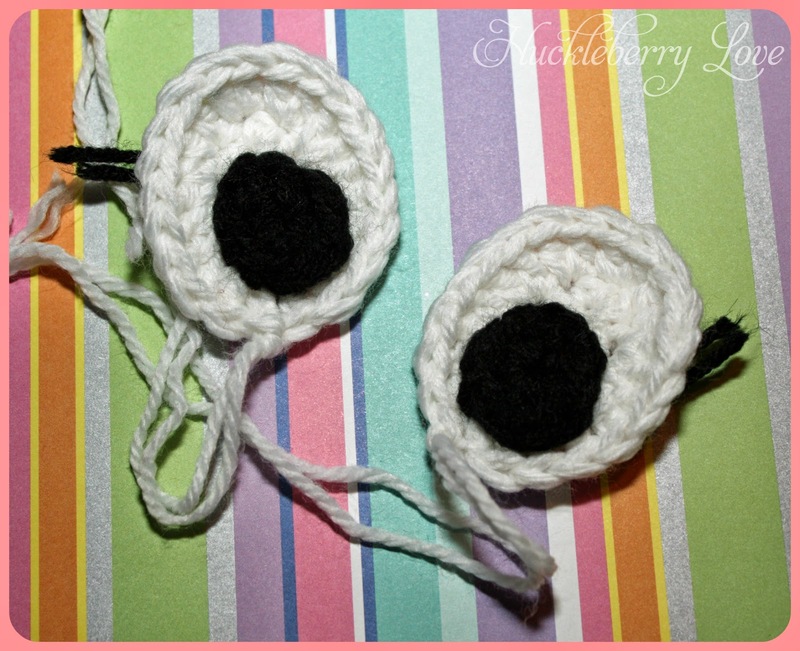 Palak at Make it Handmade has a great tutorial on how to make your own pom poms. Check it out here. Now that you have all of your pieces made. 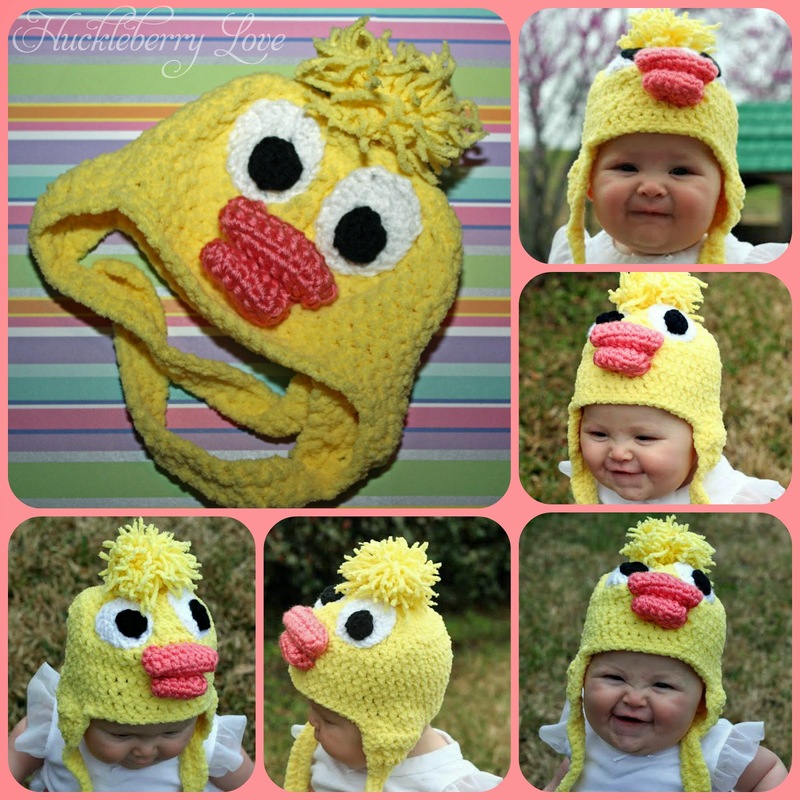 Sew them onto your hat using the picture for placement reference. 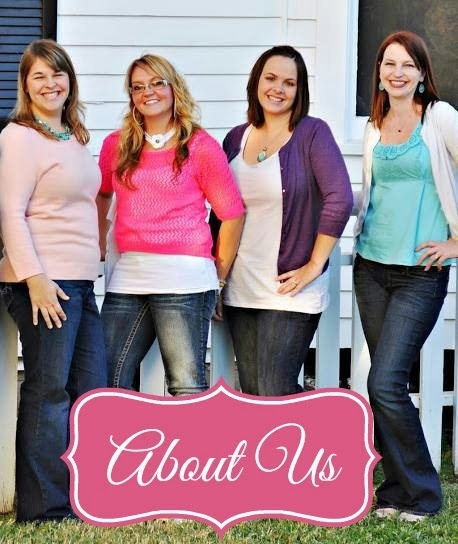 This post was originally featured at from Gardeners 2 Bergers as a guest post. How cute is this! I admire anyone that can crochet!